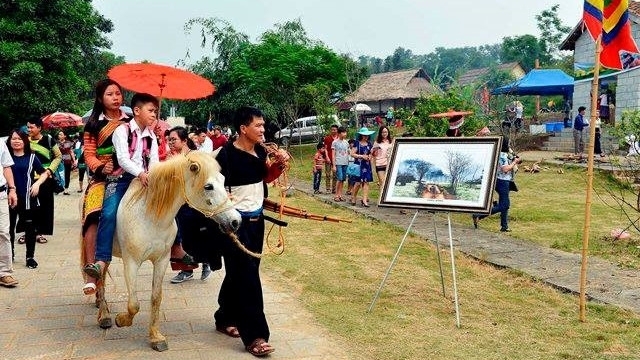 A variety of cultural activities will be organised at the Vietnam National Village for Ethnic Culture and Tourism, in Son Tay district on the outskirts of Hanoi, throughout this November with the aim of preserving and promoting the traditional cultural heritage of ethnic groups across Vietnam. 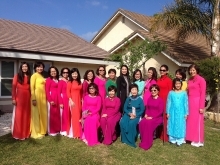 The event is held annually by the Management Board of the Vietnam National Village for Ethnic Culture and Tourism and will introduce visitors to the traditional cultural activities of the Tay, Dao, Mong, Thai, Muong, Kho Mu, Ta Oi, and Khmer ethnic groups, among others. At the weekend, there will be traditional arts performances by artists from the Vietnam National Academy of Music and the Vietnam Cheo Theatre in addition to cultural and cuisine performances by the X'Tieng ethnic group. Meanwhile, song and dance performances, fork games and other traditional cultural activities performed by various ethnic groups will take place on weekdays during November. The highlight of the month-long event is the organisation of the 'Vietnam Ethnic Groups’ Unity–Vietnam Cultural Heritage' Week on November 18-23. The week will feature a festival of national unity; the Cai Rang floating market - the national intangible cultural heritage; a seminar on the development of the Vietnam National Village for Ethnic Culture and Tourism; and the inauguration of the first phase of the Phap An pagoda; among others. 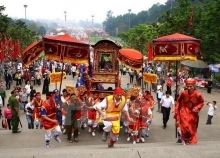 The week is expected to honour the cultural heritage of Vietnam's ethnic groups, whilst promoting cultural exchanges and tourism, and contributing to fostering the strength of national unity.